to let you know that we have NEVER asked for donations. What Happened to State and Local Protection? A few weeks ago we were contacted by the president of Bullion Sharks llc, to ask if he could make a coin to commemorate the victory of the battle won that day. He put it together and asked if we would share it on our page. He is giving a portion of each coin sold to put towards our fight for liberty and freedom. You will find the coins at www.bullionsharks.com or can call 516-739-5822 to purchase them over the phone. Pictures of the beautiful coin will be on the website. 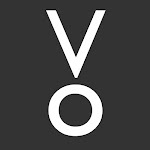 Go check it out! With debate raging over whether the Bureau of Land Management is overstepping its authority in stopping rancher Cliven Bundy’s cattle from grazing on public land, one of Bundy’s neighbors offered to settle the question. There have been a lot of people criticizing Clive Bundy because he did not pay his grazing fees for 20 years. The public is also probably wondering why so many other cowboys are supporting Mr. Bundy even though they paid their fees and Clive did not. What you people probably do not realize is that on every rancher’s grazing permit it says the following: “You are authorized to make grazing use of the lands, under the jurisdiction of the Bureau of Land Management and covered by this grazing permit, upon your acceptance of the terms and conditions of this grazing permit and payment of grazing fees when due.” The “mandatory” terms and conditions go on to list the allotment, the number and kind of livestock to be grazed, when the permit begins and ends, the number of active or suspended AUMs (animal units per month), etc. The terms and conditions also list specific requirements such as where salt or mineral supplements can be located, maximum allowable use of forage levels (40% of annual growth), etc., and include a lot more stringent policies that must be adhered to. Every rancher must sign this “contract” agreeing to abide by the TERMS AND CONDITIONS before he or she can make payment. In the early 90s, the BLM went on a frenzy and drastically cut almost every rancher’s permit because of this desert tortoise issue, even though all of us ranchers knew that cow and desert tortoise had co-existed for a hundred+ years. As an example, a family friend had his permit cut by 90%. For those of you who are non-ranchers, that would be equated to getting your paycheck cut 90%. In 1976 there were approximately 52 ranching permittees in this area of Nevada. Presently, there are 3. Most of these people lost their livelihoods because of the actions of the BLM. 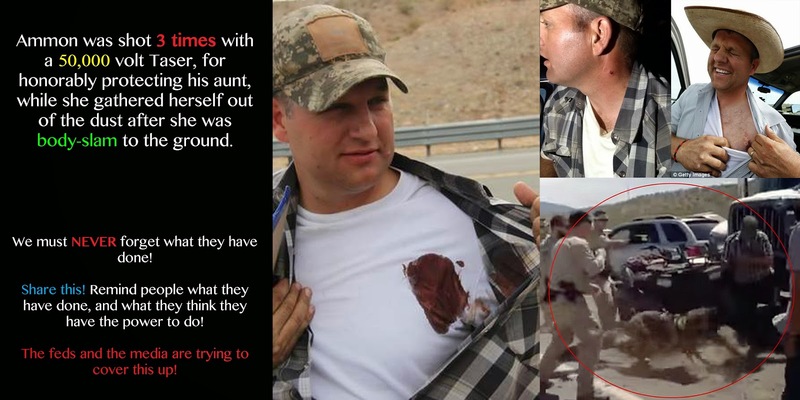 Clive Bundy was one of these people who received extremely unfair and unreasonable TERMS AND CONDITIONS. Keep in mind that Mr. Bundy was required to sign this contract before he was allowed to pay. Had Clive signed on the dotted line, he would have, in essence, signed his very livelihood away. And so Mr. Bundy took a stand, not only for himself, but for all of us. He refused to be destroyed by a tyrannical federal entity and to have his American liberties and freedoms taken away. 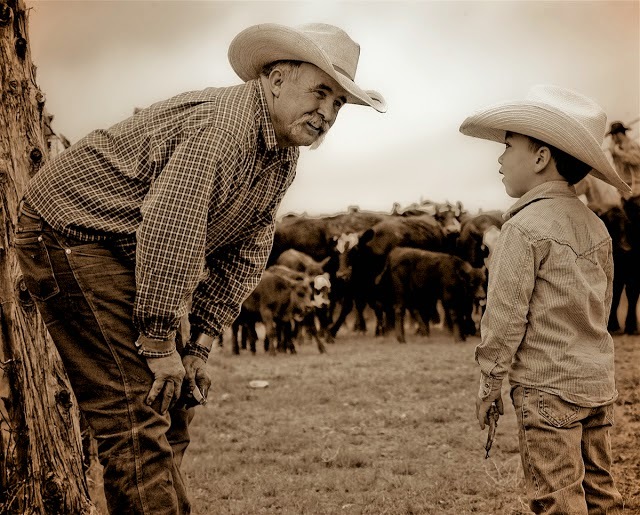 Also keep in mind that all ranchers financially paid dearly for the forage rights those permits allow – – not rights to the land, but rights to use the forage that grows on that land. Many of these AUMS are water based, meaning that the rancher also has a vested right (state owned, not federal) to the waters that adjoin the lands and allow the livestock to drink. These water rights were also purchased at a great price. If a rancher cannot show beneficial use of the water (he must have the appropriate number of livestock that drinks and uses that water), then he loses that water right. Usually water rights and forage rights go hand in hand. 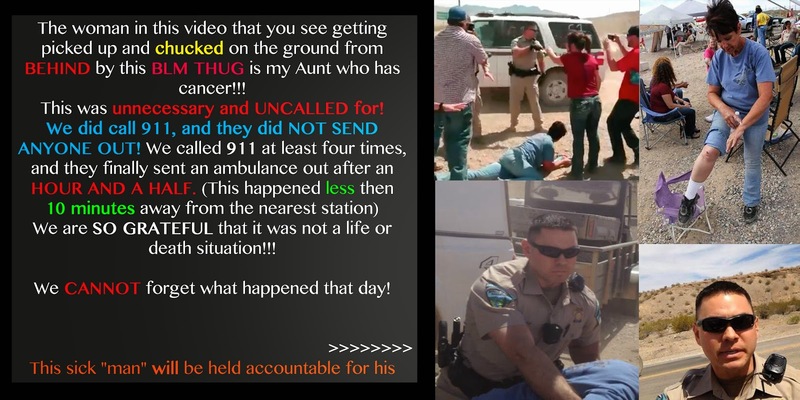 Contrary to what the BLM is telling you, they NEVER compensate a rancher for the AUMs they take away. Most times, they tell ranchers that their AUMS are “suspended,” but not removed. Unfortunately, my family has thousands of “suspended” AUMs that will probably never be returned. And so, even though these ranchers throughout the course of a hundred years invested thousands(and perhaps millions) of dollars and sacrificed along the way to obtain these rights through purchase from others, at a whim the government can take everything away with the stroke of a pen. 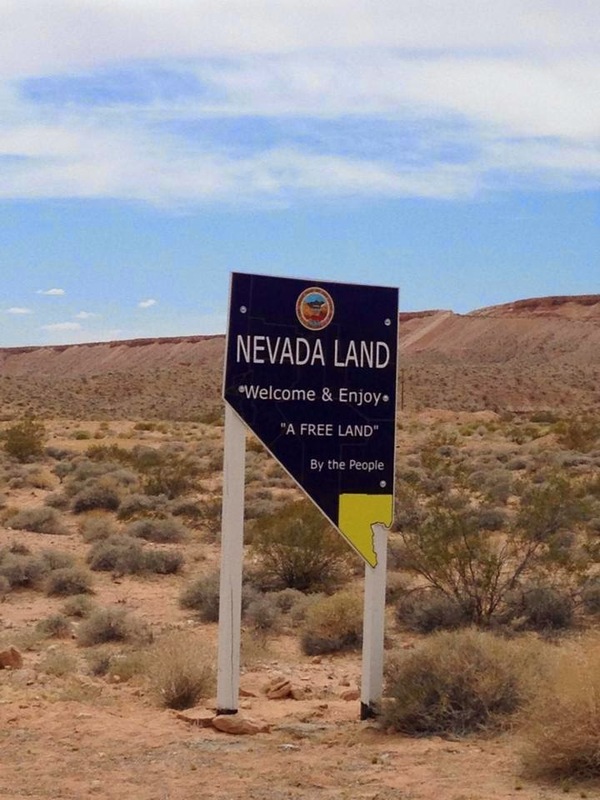 This is the very thing that Clive Bundy singlehandedly took a stand against. Thank you, Clive, from a rancher who considers you a hero. It has been several weeks since the BLM's special forces came into the valley with guns raised, barricading our lands, stealing and destroying our property, and terrorizing the community. Their original plan was to occupy the land for seven weeks. They would still be in the valley today if the people did not stand and demand departure. We can only imagine what would have happen if they were allowed to remain. In the six days they were present on the land, people from the community were threatened and interrogated for simply being on there public lands, others were beat to the ground, boot on head, hauled off while their families watched in desperation with guns to their faces. 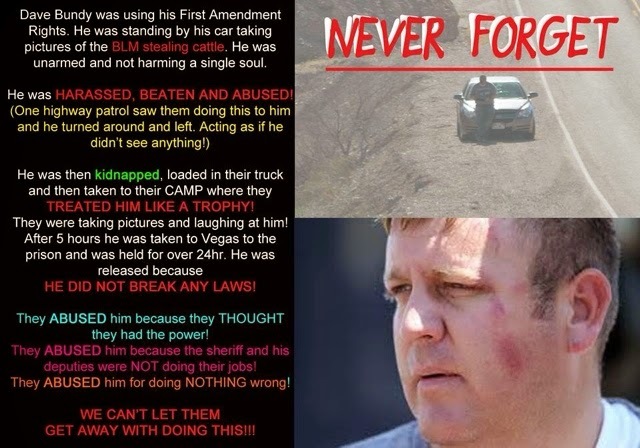 Others were violently thrown to the pavement, gang tackled to the rocks, tasered, threatened by guard dogs, and ultimately hundreds of lives balanced on the triggers of the BLM's special army. The people took the right action by standing up to these trained mercenaries. If allowed to remain for the seven planned weeks, lives most assuredly would have been taken and the freedom we enjoy on this land would have been forever lost. 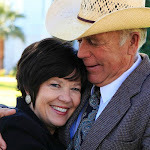 The Bundy family has been approached many times by well known, highly effective lawyers from all over the country offering their services free of charge. This case, they say; "has the makings of great". The crimes and civil rights violations committed by the BLM are a lawyers playground. We have chosen not to engage in legal action up to this point for two reason. First, is simply because we have not felt impressed to do so. We understand that as humans we are limited to knowledge and understanding. We believe that the creator of this world possesses all knowledge and understanding. We also know that if we seek this knowledge he will share it with us. Until recently, legal action has shown no benefit to this cause. The second, is time based, the people expected Sheriff Gillespie and Governor Sandoval to take action. We felt it was important to give them ample time to do what is right, time enough to start investigating the crimes that were committed upon their constituents. The primary purpose of both their positions is to protect the lives & liberties of the people they serve, and be a buffer against outside threats. It is disheartening to see them betray and run with open arms to the very entities that mock the constitution and threatened the peoples lives. Our governor and sheriff should have been our heroes, but yet they remain corrupted. It is first and far-most the responsibility of the PEOPLE of the State of Nevada and Clark County to correct Governor Sandoval and Sheriff Gillespie, they work for us, not the federal government. With a sense of sadness and duty we announce that we are assembling a team of legal advisers and will be seeking the wisest action in assisting the PEOPLE in re-establishing individual protection through government. Our action will not be for the benefit of person or family. Any action taken will be an effort to protect individual rights and to restore the principles of the Constitution. As always; we will continue to seek the Lord's guidance in these matters. 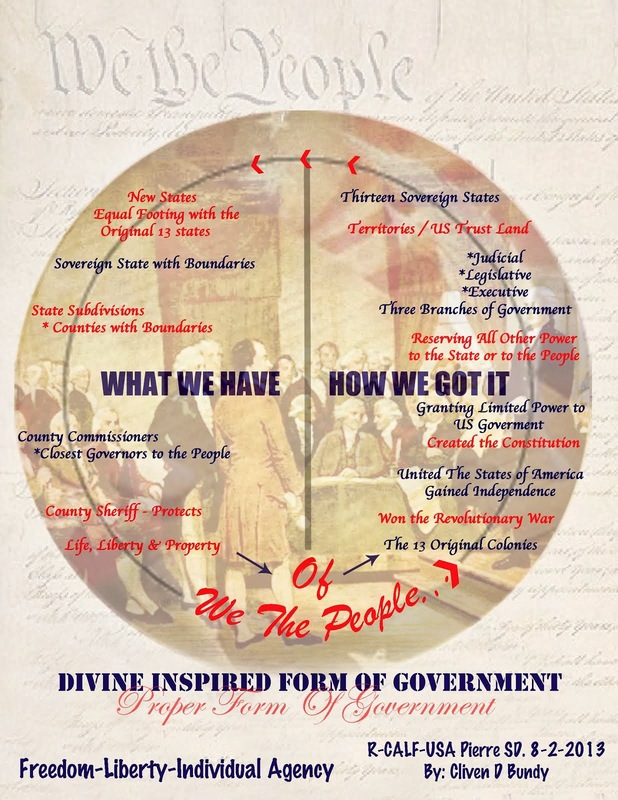 Why is the Constitution an "Inspired" Document? WE ASK OURSELVES, DID THIS REALLY HAPPEN? As we have had the opportunity to reflect on the events that took place between March 26th and April 12, 2014—we have experienced feelings of concern, confusion, fear, anger, sadness and joy. Our peaceful community has been shaken. In many ways, we are still processing the magnitude of what took place. We ask ourselves so many questions; did the federal government really come into this valley and terrorize our community? Did hundreds of armed forces, in Red Dawn fashion, lock down the hills and valleys of our peaceful home—threatening at gunpoint, anyone who stepped off the paved road, with forceful and lethal action? Did we really see armed forces convoying through the streets of our town, diligently recording names and identities of anyone who glanced wrong or opposed them in any way? Was there really heavy equipment in the form of dump trucks and backhoes, on our mountains, tearing up infrastructure that we have used for over a hundred years, and is vital to our survival? Were we truly in the crosshairs of snipers, and under surveillance by the latest in technological weapons? Did these forces actually point their rifles in the faces of our little children, while beating their unarmed fathers to the dirt and hauling them off in chains? Did they really body-slam our friend, a 59 year old woman to the ground, and sic German Shepherds on our neighbors—even a pregnant woman? Did they actually shock a man multiple times with a 50,000 volt taser for honorably protecting his aunt, while she gathered herself out of the dust? We reflect in sadness and awe that did take place in our little town. The terror of armed men occupying our land will never be forgotten. The feelings of despair brought by these events will long reside in our hearts. Thoughts of anxiousness that this may happen again, will awaken us from our pillows from time to time. During quiet reflection, we may ask ourselves if we did the right thing by resisting. Were we in the right when we acted to safeguard ourselves, our families and our property? When the only response to our multiple pleas for help was silence, when we were left alone to clean our cuts and wounds, did we have a divine right, duty, and obligation to protect our family and ourselves? We recall the many times we pleaded with our local government to protect us; the numerous times we called 911, and begged our Sheriff to send his deputies to assist. Our cries of distress were met with silence. We ask ourselves, “Did we try hard enough to get our local government and law enforcement to act as a buffer and perform their duty to protect and serve?” Were the hundreds of phone calls not enough, or is it just that our elected leaders and Sheriff have forsaken the people in trade for power and money? We whole-heartedly want to believe that our Sheriff would not abandon us, but where has his shielding influence been? Why was he not here to represent and protect the very men, women and children of his county that he swore an oath for? Why did he stand silent and neutral, knowing our community was in terror? What was his motivation of inaction; was it fear of the federal government or political reprisal from powerful politicians? The scars of this traumatic event will heal over time. We hope our community will eventually return to a sense of normalcy. We fervently hope and pray that these heavy-handed tactics will not be used on us or any other American ever again. We wonder if our hopes will be in vain; will they return? Will they come back with greater force and more cunning tactics than before? Will our Sheriff keep his oath this time, and use his lawful forces to stop them, or will the people be left to their own protection? Will the good people of this nation yet again have to come running to the rescue of a neighbor? Will veterans, retired police force, churches, businesses, families and individuals have to unite once again to confront these acts of governmental terror upon the American people? Will our local government rouse themselves from disaffection and intervene—protecting the people? Will they stop fearing to do the right thing and come to the realization that the people are more important than a government agency? Will they fight for the rights of the people? 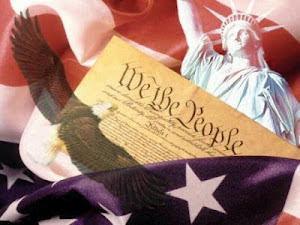 They must stop putting personal gain and advancement in front of the rights of citizens. They need to recognize, that as our elected representatives, they have more power than those governing in brute force, as they have the might of the people backing them. With the power we invest in them, they have the obligation to safeguard our livelihoods, combat forces of fear, and protect our lives with their own. We believe that the BLM acted illegally. We have decided to file reports at the Sheriff's Office. Together we can take real action!! file a Criminal Report with the Clark County Sheriffs office. be a resident of Clark County or the state of Nevada to file a Criminal Report. file your Criminal Report anytime. But, if you want to join us, we will be there tomorrow morning May 2nd at 10am. file and personal, individual "Criminal Report" with the Sheriffs office. to go down to the Sheriffs office and file a formal "Criminal Report". We need as many of you as possible to file a formal "Criminal Report"
Please don't let this opportunity to make the Sheriff do his job slip away. PS - Please pass this along to anyone who you may know that was with us when the BLM men were threatening us all.